Deciding between a cubby house and a trampoline this Christmas? 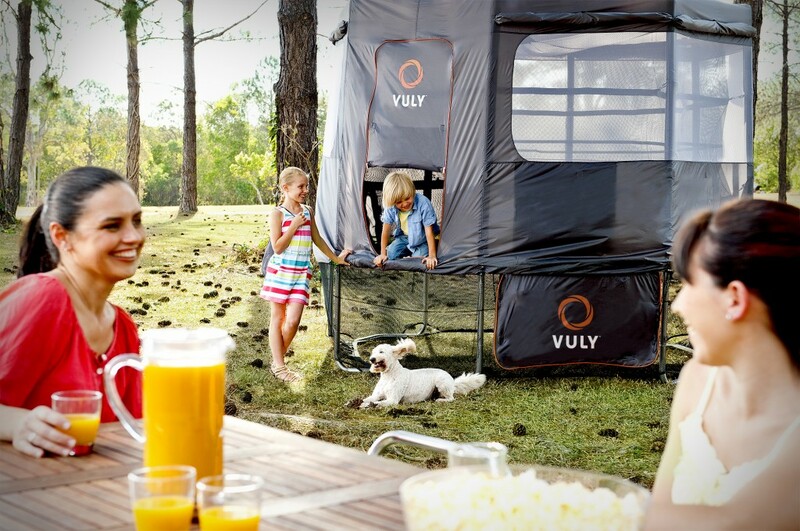 Vuly's trampoline tent allows you to have both. The trampoline tent has a range of uses that make it an exciting addition to your backyard trampoline. Use it for shade during the warm summer months or grab some marshmallows and sleeping bags and have a camp out in the backyard at night! Use your tent to turn the trampoline into a shady hideout. The panoramic drawstring windows allow for great airflow during the summer months, keeping the children both cool and protected from the sun. Want to keep an eye on the kids while they're on the trampoline but still have the option to keep them protected from the sun? You can install the tent but only pull it half way down the net poles so you can still see inside. Let the children bring their sleeping bags into the trampoline at night and camp out with friends. String up some fairy lights and play shadow games, relax and read a book or listen to music in your makeshift hideout. Installation is simple - just slip the tent over the trampoline net and then take it off and pack it away in your free Vuly backpack when you're finished! You can prolong the life of your trampoline tent by taking it off after each use. 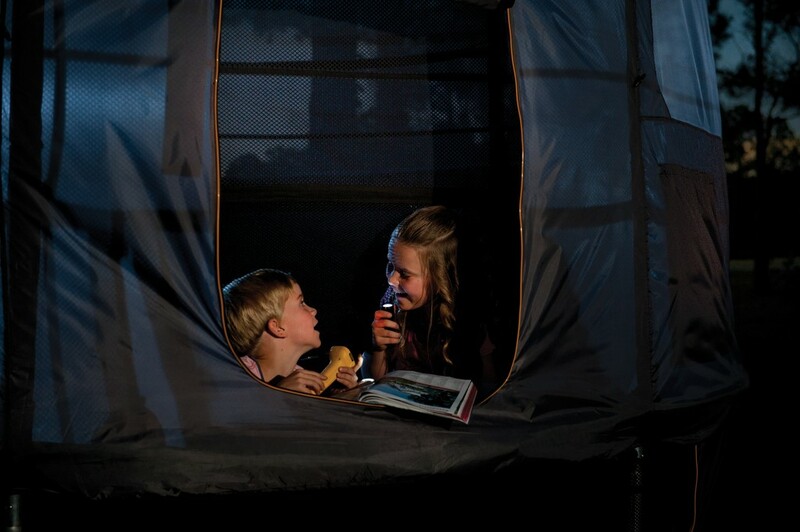 Treat the children this Christmas and add a tent to your Vuly for hours of fun! Click here to order your trampoline tent or request a catalogue for more information.